Tirumala Venkateswara Swamy Temple is the most divine Hindu Temple in the hill town of Tirumala, near Tirupati in the Chittoor district of Andhra Pradesh, it is constructed in the Dravidian architecture style. 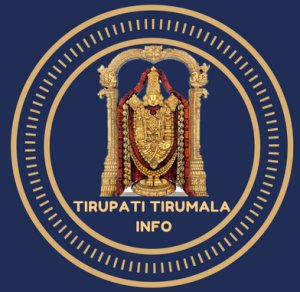 Our team is determined to help the Pilgrims to have a divine and fun filled Tirupati Yatra by providing all the information required to have a comfortable stay, tirumala tirupati online booking facilities and pleasant darshan. We are specialized in organizing Local tours, cab booking and Accommodation booking in private hotels. You can utilize our expertise in making your trip a memorable one. Contact Us today. First things first, try to arrange your darshan either in on-line or in nearest information centre (usually TTD will maintain the information centers in popular cities)in your city. Then after reaching tirumala and after tonsure process have a bath in koneru which is located beside “Varaha Swamy” temple and visit the “Varaha Swamy Temple” as it is ritual and . After that you will go inside the temple have blessings of the “Dwajasthambam”. Then you will go inside please take a street look of god in glass door and on your left side alwar will be their and next you enter inside the temple, first have a darshan of “Garuda Alwar” and then the prime god. Next to that have a darshan of Vakula Devi who is mother of venkateswara and take the thirtham. You can observe golden well just beside the temple. Then have darshan of Vimana Venkateswara swamy on the Ananda Nilayam. Then go for the blessing of maha lakshmi before going to hundi and then have a darshan of “Yoga Narasimha” and their will be a pillar in that area which is the first pillar laid when the temple construction begins. Then the parimala stone which is used to melt the sandal for the god during the abhishekam time. Then take the prasadam. When entered the temple there you can see the weighing scale in which offerings will be given to the god as per their wealth. If you were diverted towards kalyanotsava mandapam inside temple, you can see the utsav murthy and vahana’s. After the darshan of Vakula mata you can see the “Parakamani” wing where the hundial collection will be counted. After the dharshan of Yoga Narasimha swamy you can see the garlands stored in the glass door for the next alankaras. After receiving the prasadam you can see a room called “vagapadi” in which arjitha seva prasadams will be given. Visesha Pooja Seva timings and online booking. TTD Provides Online booking facility for Accommodation, Darshan Booking, Seva Booking and Donation. Please click below to know more information. when you were getting down from tirumala in bus or any other transport, the turning number 34 will have excellent and dangerous view of Kapil theratham temple which is located in tirupathi-tirumala bye-pass road. Its a best one to see during night time and I am sure you will love it.